It's been a little over a week since Vertu announced that it is now under full ownership of Hong Kong's Godin Holdings. Which, as we found out, is linked to Godin Cyberspace Security Technology -- aka GodinSec from mainland China. This raised two questions: Will Vertu be ditching its "Handmade in England" slogan in favor of the classic "Made in China?" And does Godin intend to make use of its own secure smartphone OS on future Vertu devices? The short answer to both is no, according to the newly appointed CEO Billy Crotty. 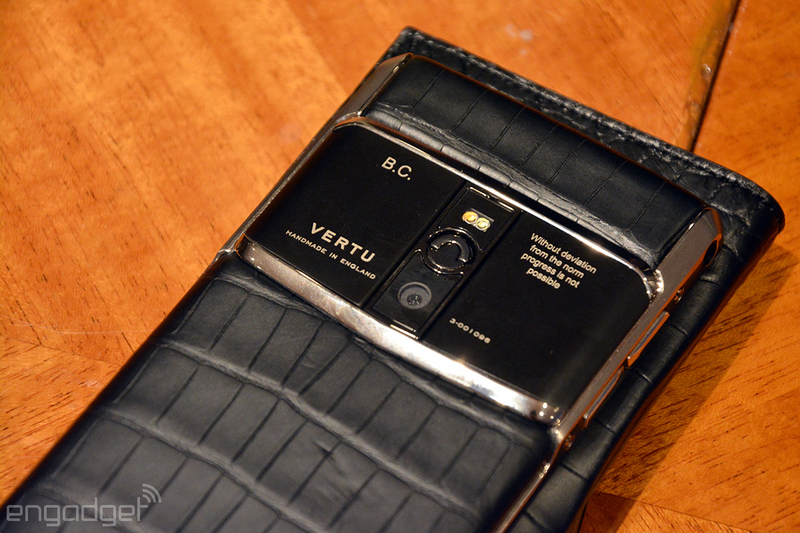 "The 'made in England' [aspect] was one of the principal reasons why Godin invested in and acquired Vertu. We don't see or foresee any reason to change that," the Irish exec told us in our interview. That's good news for the staff of 450 people back in Church Crookham, England. Similarly, future phones will still "absolutely" be designed in-house, and there's no intention of cutting down production costs nor changing the pricing strategy. All the premium elements such as sapphire, titanium and exotic hides are here to stay, and these will continue to be assembled by hand. As for services, Vertu's renowned concierge service and personalized offers will be rolled into a new package dubbed Vertu Club. This is part of the strategy to expand the company's portfolio of services via third parties, in order to provide better assistance and localization. By popular demand, Vertu will also train its concierge team to handle special inquiries related to finance, education and healthcare. 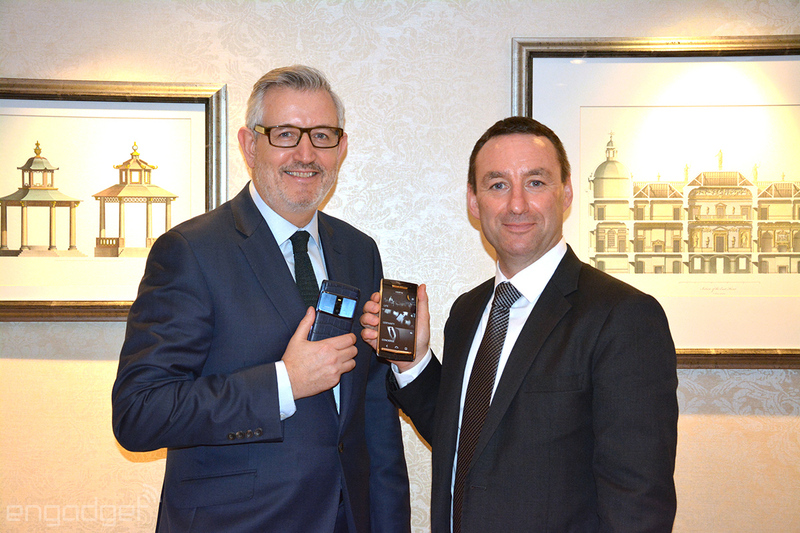 Gordon Watson, VP of Sales and Marketing, added that despite the general downturn in the luxury market, Vertu has remained more resilient than conventional luxury brands, especially in key markets like China and Russia. The company's even anticipating an exponential growth in the luxury tech sector. It may even expand its UK facilities -- as opposed to setting up a manufacturing base elsewhere -- when it succeeds. That said, Crotty couldn't disclose his company's sales target, which is just as well given that his team is still in the midst of their 2016 planning session, while also launching the new Signature Touch around the world. In regards to the potential link between Vertu and GodinSec, Crotty was quick to draw a line between his company and the cyberspace security venture. "GodinSec has nothing to do with who we are." Rather than adopting a different OS, Vertu will instead rely on its own mature Android platform and continue to explore cyber security elements by expanding on Silent Circle's offerings. Whether this will remain true in the long run, only time will tell. So what exactly does Godin bring to the table? For one, it certainly helps to have an investor based in one of Vertu's biggest markets. But as far as the execs are concerned, it's more about leveraging the added capital to build agility, in the sense that Vertu can then shorten development cycles in order to react to the market quicker. As Watson eloquently put it, "we're quite a cumbersome beast, quite honestly, given our size." Crotty's appointment at Vertu may be somewhat surprising to some. Unlike his predecessors, the Irishman has had admittedly little chance to work on luxury products in the past, but he makes up with 15 years of top-level managerial experience in the consumer electronics manufacturing space. Crotty was brought in by the chairman of Yellowstone Capital Group Limited, Jason Sun, who also runs GodinSec and helped set up Godin Holdings. The two had previously worked together at one of China's earliest mobile phone factories, Cellon International, where Sun served as the founding chairman and Crotty as the COO. Merely a couple of weeks into his job, Vertu's new CEO calls his role a "welcoming challenge." "There are things that we can do better, from an operational, from a manufacturing, from a sufficiency perspective." It'll obviously be a while before we see the results of this fine-tuning, so we'll reserve our judgement until the new products start to arrive next year.